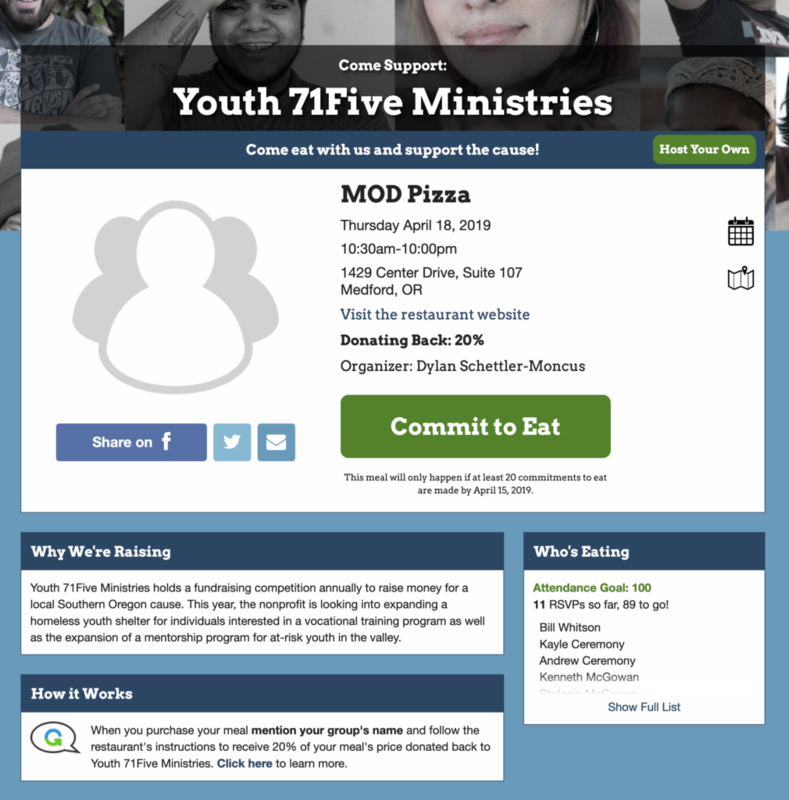 It is fundraising season this year for non-profit Youth 71Five Ministries and this year, you don’t even need to donate your time or money you just need to eat out. You heard it. The non-profit has partnered with several restaurants in the valley for a “Food Fundraising Week” for the week of April 15th. The intent was to have everyday people enjoy a lunch or dinner while supporting a cause. 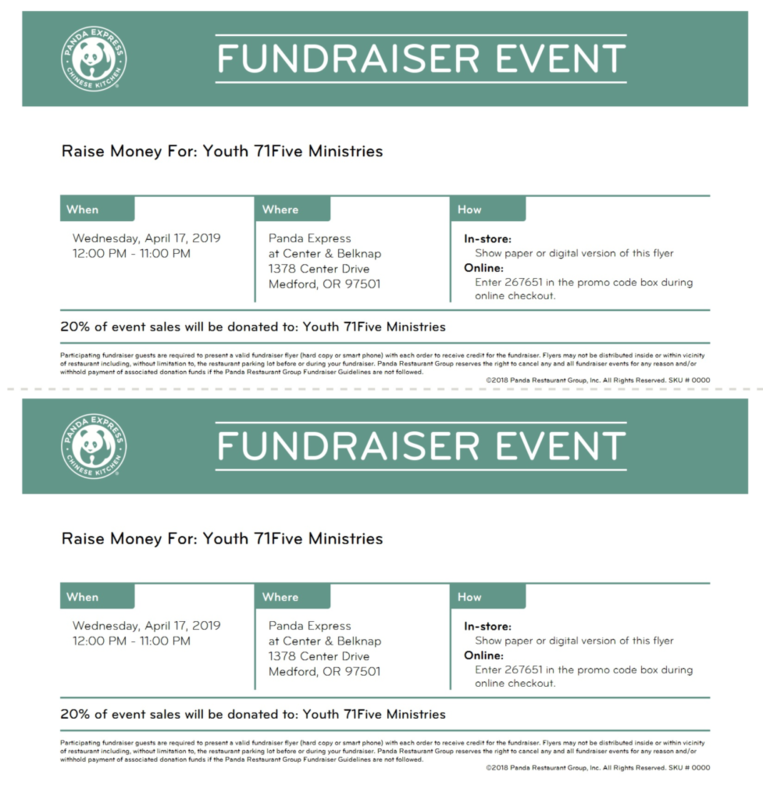 Enthusiastic donors will arrive at the restaurant for that day in the week and will contribute to the cause by buying a meal where a percentage of each order is contributed to Youth 71Five Ministries. Causes for this upcoming year range from building a 10-bed homeless shelter for at risk youth in the Medford region to supporting a vocational training program for high schoolers who are looking for a short-term educational pathway. Simply just show the event flyer to the front register as you pay out during the established hours and your meal will help to improve issues such as educational accessibility and teen homelessness. 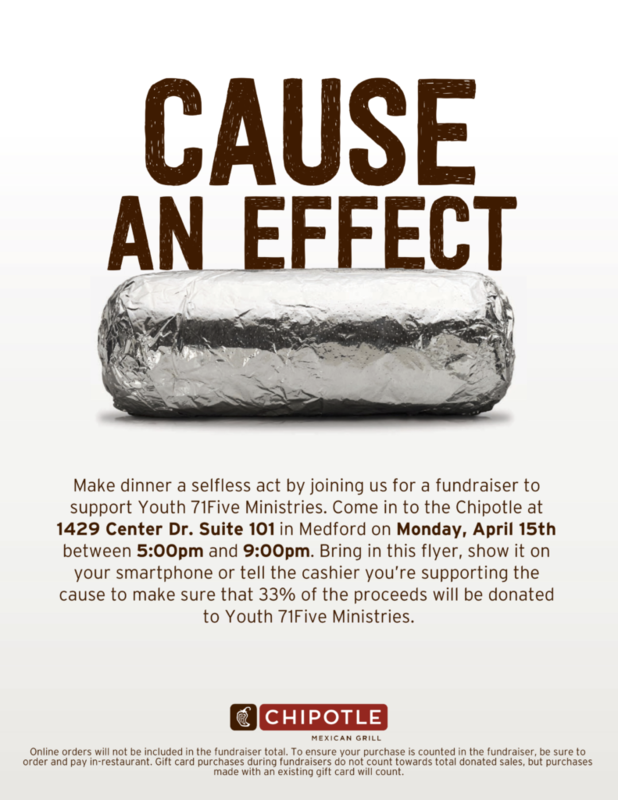 MONDAY, APRIL 15th: Download Chipotle Flyer use at purchase! 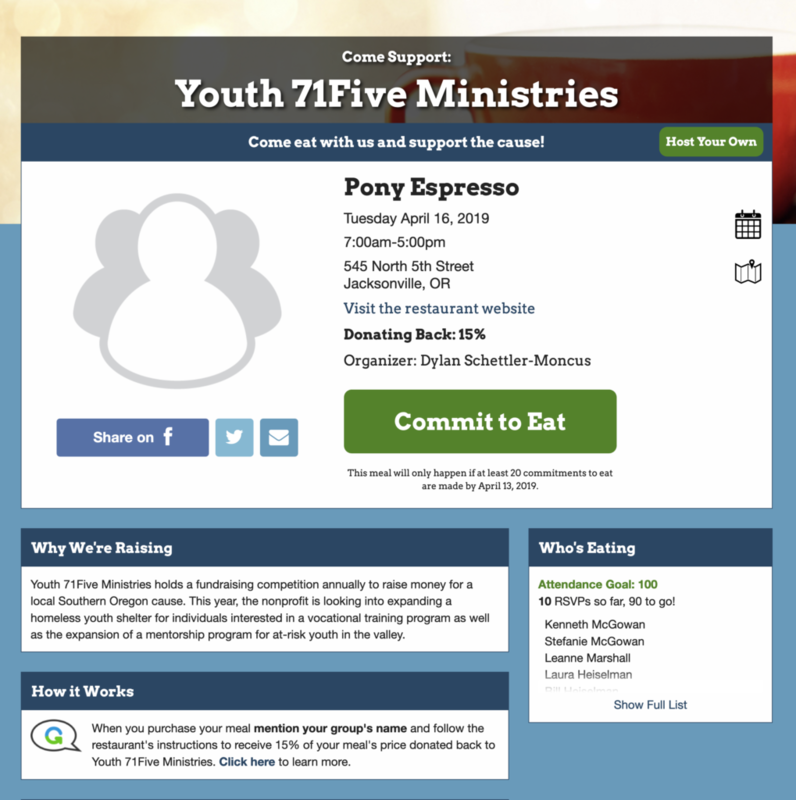 TUESDAY, APRIL 16th: Visit Pony Espresso mention Youth 71Five at purchase! WEDNESDAY, APRIL 17th: Download Panda Express Flyer use at purchase! THURSDAY, APRIL 18th: Eat @ MOD Pizza mention Youth 71Five at purchase! Be hungry and ready to eat! Invite friends and family or share a post on your social media page… The more people, the better! Youth 71Five Ministries has an event post on their Facebook page with flyer details to present to each register! For any additional questions or if you’d like to make a monetary donation towards this non-profit, please contact Dylan Moncus at moncus.dylan@yahoo.com or 541-778-5629 for support.